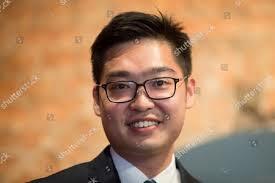 Andy Chan Ho-tin, a member of the Hong Kong National Party, has been at the center of controversy over free speech and Hong Kong‘s autonomy. The Foreign Correspondents‘ Club of Hong Kong, which invited him, came under pressure itself from the central government in Beijing as well as local authorities to cancel the event….He cited the far western region of Xinjiang, which he referred to as East Turkestan, as well as Tibet. “China is a large empire,” Chan said. “If you are different, you are wrong.” Police have requested that Chan‘s party be banned on national security grounds and authorities are going through the process of making a decision, which includes hearing the party‘s defense. The dehumanization of an ideological enemy is a classic tactic used by Communists. Communist ideology teaches those living under its system to oppose those who want to stop progress--that progress being the Communist utopia. Individuals opposed to Communism are taught to not feel morally wrong for wanting to eradicate undesirable people--which are those opposing Communism--as they are holding back the rest of mankind. Those who oppose Communist ideas are sub-human. This was true for the Soviet Union, and this remains true for Communist China as we see here. This is also evident in how they view Islam. They take a medical and psychological approach, insinuating that religious belief is like depression or anxiety. The cold and calculated system or reeducation, to them, is like a hospital visit for a physically or mentally ill person. This is how Communists deal with individuals who believe in something else. If it goes against the Communist party, the Communist party will eliminate it.